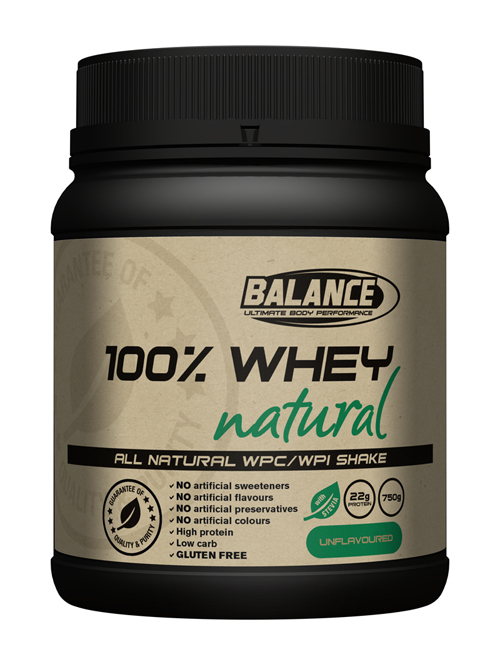 Balance 100% Whey Natural is a High Quality Gluten Free Natural WPC/WPI Protein Blend. Balance 100% Whey Natural is a high quality GLUTEN FREE natural protein blend.100% Whey Natural is the perfect protein to meet your heavy training demands for those who are looking for Improved recovery, help build lean muscle mass or both! The advanced low-carbohydrate formula blends Whey Protein Concentrate and Whey Protein Isolate to deliver 22g of protein per serve! Buy Balance 100% Whey Natural Protein from Fitness Market and save! With our efficient dispatching and quick delivery throughout Australia, Balance 100% Whey Natural Protein can be yours sooner. Below you can rate and add reviews for Balance 100% Whey Natural Protein.